Till about a decade ago, it was believed that web designing is solely a creative process. However, today most designers who enter the field have realized that being creative is only a part of the game. 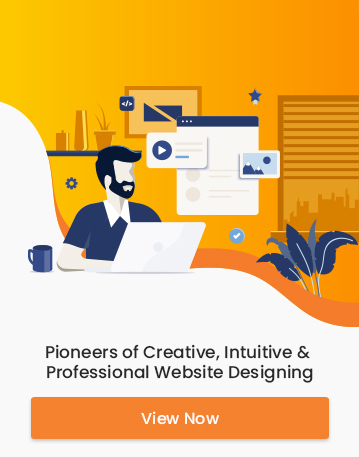 At the end of the day, web designing is a commercial activity and as such it must be able to satisfy your business needs or that of your clients. Imagination and creativity alone cannot achieve the desired conversion goals. This is why increasingly more designers are expanding their knowledge beyond artistic skills to the realm of marketing and customer psychology. 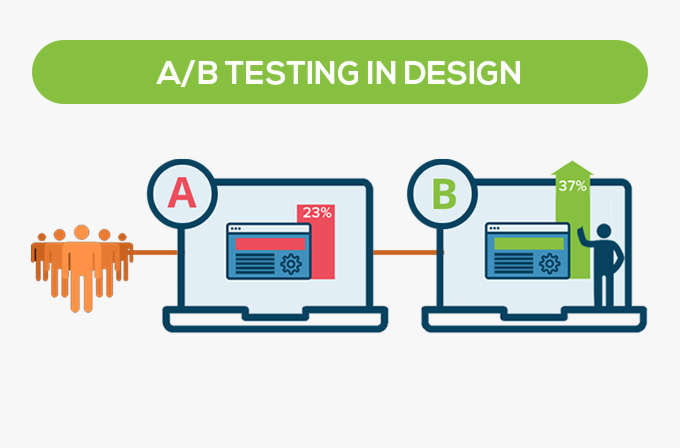 One of the most common ways through which designers can gain this insight is through the method of A/B testing. Many keen designers are now using this method to understand how different designs of websites, advertisements, and other such elements can prompt different responses from customers. A/B testing refers to the statistical practice of testing two choices and analyzing which one is better at accomplishing the desired goal. In the context of the web design, A/B testing means splitting your users into two groups and subjecting them to two distinct variations of the same webpage, loading page, email advertisement etc. After that, results from the test are analyzed to check which variation was more successful in achieving the website’s conversion goals. Through A/B testing, web designers can determine which particular aspect of their design is more successful in meeting their predefined conversion goal. A/B Testing: What is the Right Approach? From the headline to ‘call to action’ buttons to images to color schemes, any element of the webpage or content can be subjected to A/B testing. However, for every A/B test, there exist certain steps which have to be kept in mind. As in the case of all experiments, the first step in A/B testing is research. Conduct thorough research on the elements of your design and how each is intended to impact the customer. In doing so, you may discover certain ‘problem areas’ in your design. Problem areas are those aspects of your website which may be preventing the website from achieving the conversion goal. Once identified, it becomes necessary to chalk out the possible causes for this problem. For example, upon research, you discover that the rate of abandonment on the online purchases made from your website is high. The possible causes could be rooted in the design of the website. Perhaps, the ‘checkout’ link is not working or is not clearly visible. Much like most experiments, A/B testing is a game of variables. The next step in the process is determining your variables. While testing the performance of the designs, one version should remain exactly the same as the original. This is your independent variable. The other version should display the changes which you think will enhance the performance. This is your dependent variable. It is the comparison between these two variables which will give you an idea about your website’s performance. Depending on how you conduct the test, you can also determine the sample size for your test i.e. which percentage of your audience will see what version. Much like for most tasks of the 21st century, for A/B testing as well there exist several online tools. Multiple online applications work with the intention of making the process of the online test as simple for you as possible. For a small price, these applications don’t always require technical expertise and thus make you’re A/B testing experience a breeze. One of the designers’ favorite tools is VWO. An intuitive A/B Testing tool, it allows you to easily change headlines, buttons, images or any other elements to create multiple variations of your website to test. With this tool, you can track revenue, clicks and other conversion goals. Google Analytics ‘Experiments’ is also a preferred tool. A reliable Google platform, this tool allows you to split-test up to 10 full versions of a single page. Another popular tool is AB Tasty which enables you to conduct A/B tests without writing any code or without any prior technical knowledge. For a price of €29/month – €299/month, you can measure which versions of your design produce the best results for your requirements. Despite being useful, A/B testing can have its own shortcomings. For starters, a lot of web designers find the results from A/B testing restrictive to their creative sensibilities. If not utilized correctly, the results can eventually become a crutch for every decision. This can hamper a company’s willingness to take any risks at all and discover new avenues of design. Finally, A/B testing only provides a quantitative measure of your design’s performance. The qualitative “why”, such as “why more users are not clicking on a particular ad”, remains unanswered. That being said, depending upon a company’s needs, the pros of A/B testing can outweigh the cons. For a company struggling to find out which particular aspect of their design is failing, A/B testing can be a boon. It can also allow you to pinpoint the exact problem areas to your clients and fix it for maximized returns and revenue. Designing for the web is no longer an isolated process. Every designer must remember to keep in mind the bigger picture while creating their designs. When designing for clients, it must be kept in mind that presentation is secondary to performance. A design that does not perform is a design that is not worth keeping. At the same time, do not blindly rely on the performance results. Try and take feedback from real users regarding your design. This can provide you with the necessary ideas on not only whether or not to change the design but also how exactly to do so.